KOHZU linear stages are the result of nearly 70 years of manufacturing expertise. These axes can be used stand alone or stacked in XY configuration. KOHZU’s use of only the most trusted vendors enables them to reliably deliver the highest quality precision, robust production grade stages. These stages are offered as motor driven or manual. Motor driven stages can be upgraded with rotary or linear encoders, gearboxes along with cleanroom grease. KOHZU’s precision motor stages can also be mounted in XZ configuration for horizontal and vertical translation, commonly used in optical microscope or alignment applications. 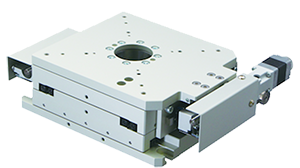 Specially engineered – stepper motor driven stages with lead screws will hold vertical position at power off. 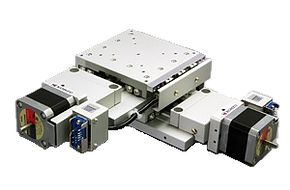 While all motorized stages come as stepper stages, we are open to configuring with most stages with servo motors. 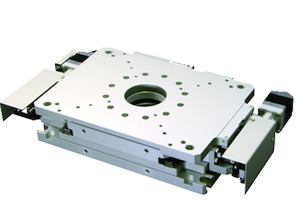 KOHZU offers a series of manual and motorized integrated XY and rotary (R) stages with clear aperture/openings through the stage, commonly used in a microscope and optical applications. 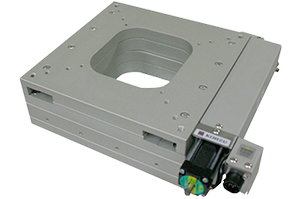 KOHZU offers several low-profile integrated XY stages extensively used in applications precision positioning applications when space is limited and low stack height is essential.